The time for staking claim to New Year’s Resolutions you’re never going to keep has come and gone. But this doesn’t mean there isn’t plenty of time left to map out a healthier and happier 2019. If you’re all about positive change and improvement, there’s no better time to get started than right now! That’s why we thought we’d share a few suggestions for the benefit of your oral health and hygiene this year. Most of which are surprisingly simple, yet could make the most incredible difference when brought together. First and foremost, the time has come to quit procrastinating and invest in a decent electric toothbrush. 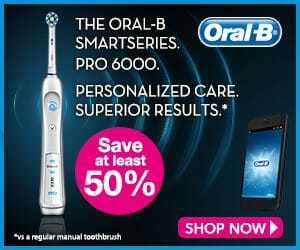 Ideally, a dentist-recommended electric toothbrushfrom a leading brand. Time and time again, research has shown how a quality electric toothbrush can clean the entire mouth exponentially more effectively than any manual brush. They’re also infinitely easier and more satisfying to use. Now available at their lowest prices to date, there’s never been a better time to step up to electric and experience the difference first-hand. Likewise, there’s really no excuse for failing to floss properly. Ask any dentist and they’ll tell you the same – flossing is just as important as cleaning your teeth or rinsing with mouthwash. 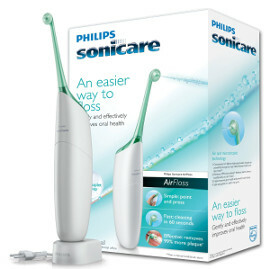 There are so many areas of the mouth you simply cannot and will not reach with a regular or electric toothbrush. 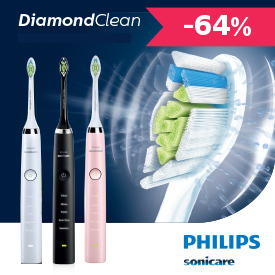 For the best possible results – and the most fun – perhaps treat yourself to the best electric water-flosser of 2019. After which, you could be looking at no more than around 30 seconds morning and evening to give your teeth and gums the clean and polish of a lifetime. Eating raw fruits and vegetables benefits your oral health in two ways. The first of which being the obvious value of giving your body all the vitamins and nutrients it needs to perform its most important functions. In addition, crunchy fruits and vegetables can be surprisingly effective at cleaning your teeth and gums. Precisely why they’re the perfect snacks to reach for in-between brushings, giving your body a double dose of goodness. Far better than the usual salty and sugary staples that only stand to do you harm. If you’d like to finish 2019 with a set of gleaming white teeth, it’s up to you to keep stains at bay. A process that may require a few simple lifestyle changes, but could nonetheless prove worthwhile. Try to prevent heavy-staining foods like red wine, tea and coffee coming into direct contact with your teeth. If you smoke, you probably don’t need us to tell you that this is one habit you should have kicked a long time ago. Defend your teeth from stains and the rest often takes care of itself. As we’ve covered in a whole bunch of previous posts, it’s never a good idea to use your teeth as tools. From opening plastic packages to biting your nails to gripping pretty much anything in your teeth that really shouldn’t be there, you’re rolling the dice with fate. Try to remember that your teeth are designed to deal with the food you eat and nothing else. Each time you use your teeth as a tool of any kind, you run the risk of chipping, cracking or completely destroying them. If sensitivity has been plaguing your existence for years, why not make now the time to get rid of it? Simply by investing in a decent set of sensitive products and hardware, you could be looking at a complete transformation in a matter of months. If the problem is particularly severe, you could also speak to your dentist for their own recommendations. Speaking of which, research suggests that the vast majority of Brits don’t see their dentists nearly as often as they should. It’s typically recommended that routine checkups are arranged once every six months or so, which is far from the reality of things for most adults. Always remember that prevention beats cure, so it’s in your best interests to visit your dentist regularly. Doing so could save you time, money and a great deal of discomfort long-term. If you’ve been promising yourself some kind of cosmetic dental treatment for a while now, why not take the plunge? Particularly if it’s something as simple as teeth whitening, it’s never been easier or more affordable to treat yourself to a beautiful smile. Just be sure to consult with your dentist before going ahead, if you have any issues regarding sensitivity or the general health of your teeth and gums. Speaking of gums, make 2019 the year you bring sugar-free gum into your everyday life as standard. In-between brushings, there’s very little you can do to maximise your mouth’s natural defences than chew sugar-free gum. Doing so produces vast quantities of saliva, which gets to work on the bacteria, acids and general nasties that pose a threat to your teeth and gums. It’s also a great way of keeping your breath fresh throughout the day. Last but not least, nothing plays a more pivotal role in building and maintaining head-to-toe health than hydration. Oral health and hygiene being no exception to the rule, which are fundamentally dependent on the consistent and plentiful intake of fluids. Research suggests that most adults don’t drink nearly as much water as they should, which can have a knock-on effect on our health and wellbeing. Rather than simply assuming you drink enough water, try to get into the habit of measuring your fluid intake and ensuring you reach your recommended 2.5-liters each day.